Travel bloggers have to start from somewhere and that’s from knowing very little or absolutely nothing. I too went through this experience and grew through a lot of the typical ups and downs of a travel blogger. My goal with the Travel Blogger’s Toolkit is to be able to arm new bloggers with tips and tools on how to be be a better and more successful blogger. I want to help you avoid my mistakes. Instead of spinning your wheels and hammering away with brute force, I’m giving you the power tools to get the job done faster and more efficiently. Check back every week to find a new key insight to unlocking success in your very own travel blog. Is your AddThis share button set up to add your Twitter handle to tweets? 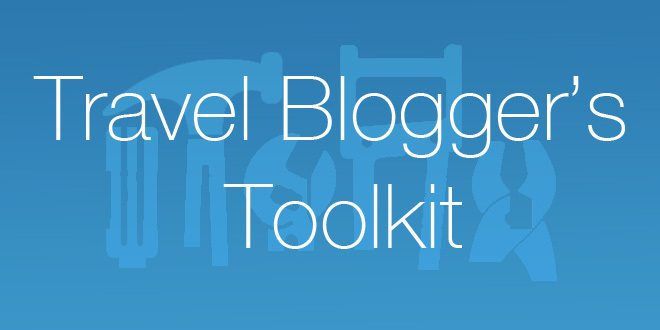 Every week, there’ll be a new toolkit featured on Travel Blog Breakthrough. to the newsletter to get all the updates.